Product categories of Froth Slurry Pump, we are specialized manufacturers from China, Slurry Froth Pump, Froth Foam Pump suppliers/factory, wholesale high-quality products of Centrifugal Froth Pump R & D and manufacturing, we have the perfect after-sales service and technical support. Look forward to your cooperation! Froth pumps are the latest generation of foam pump/froth pump based on the advanced technology at home and abroad, including Foam Tank Froth Slurry Pump, High Pressure Slurry Pump. 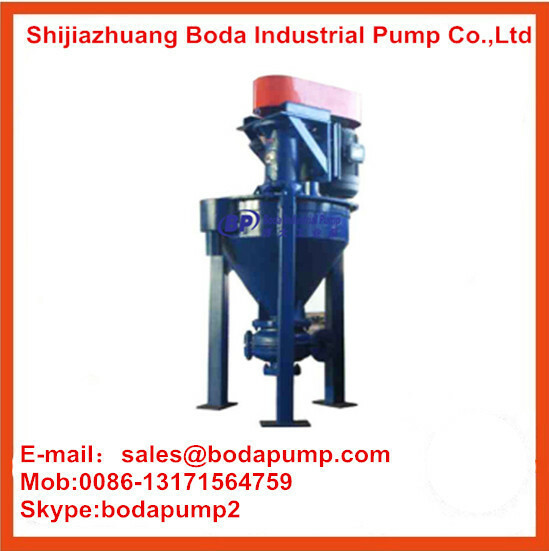 It could eliminate the foam/froth in the slurry in running and work normally even if the feeding slurry is not enough. Froth pump is the ideal products to deliver the frothy slurry, especially in the flotation technique process. 1. On the bearing house, there is the motor base or motor support, which helps adopt belt drive or direct drive. It is very convenient to change the pulleys to adjust the speed and meet the changes of the work conditions. 2.The box is made of steel, stainless steel or rubber lined steel. It has the feeding suction and overflow box in the tangent line. The overflow box could deliver the surplus slurry back to the pool. The feeding suction in the tangent line could transport the slurry fast and eliminate part of the froth. 3. Froth pumps are of double-casing. The materials of the wet parts could be metal alloy, rubber or other non-metal material according to the slurry properties. It is used widely in the metallurgy, minerals, coal washery, chemical and other industrial departments, suitable for handing the abrasive and corrosive slurry with the froth.